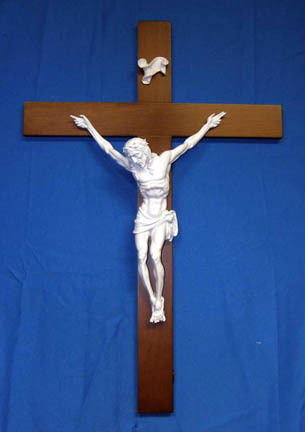 Lady of Grace in all white alabaster on a white alabaster base, 16.5". Made in Italy. 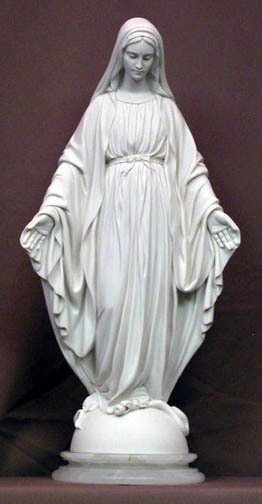 Our Lady of Grace in all white alabaster on a marble base, 7". Made in Italy.